At 21,000 lbs. gross weight and featuring over 15,000 lbs. 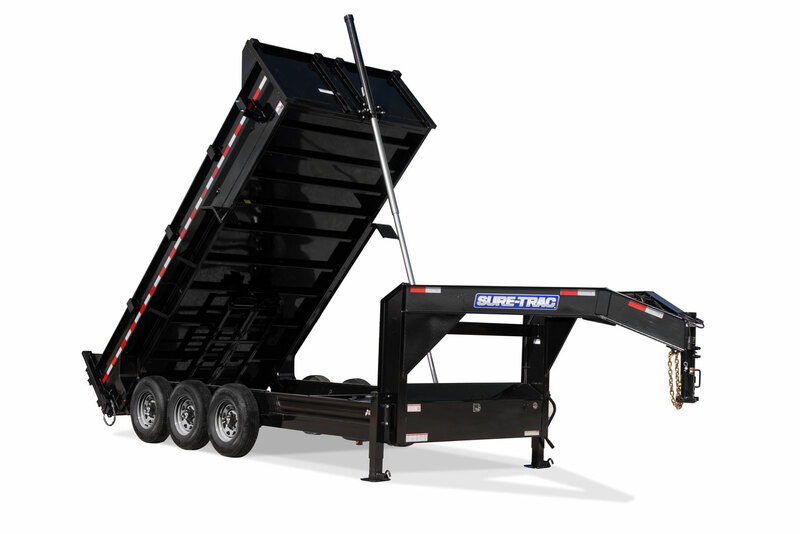 of payload, the Heavy Duty Low Profile Tri-Axle Dump is built to handle even the toughest of jobs. 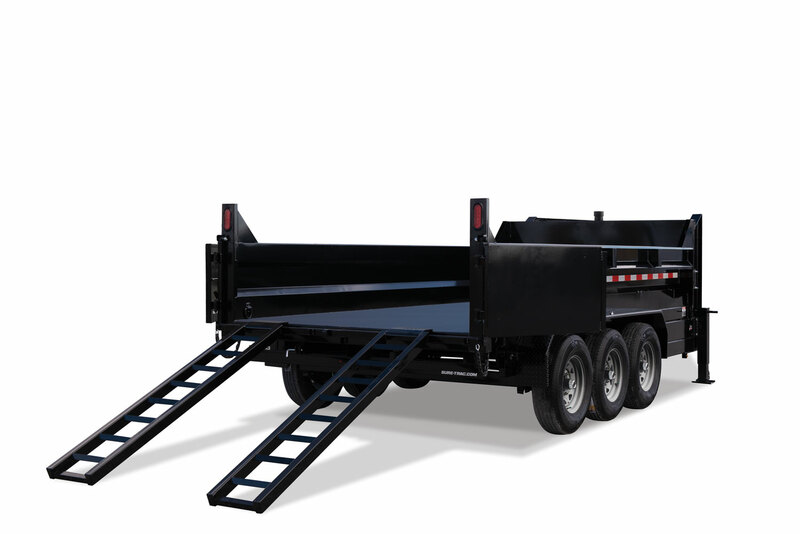 This unit is supported by a High-Tensile I-Beam Gooseneck and Dual 12K jacks. 82" x 16' Adjustable 2-5/16"
82" x 16' Adjustable 31" - 39-3/4"